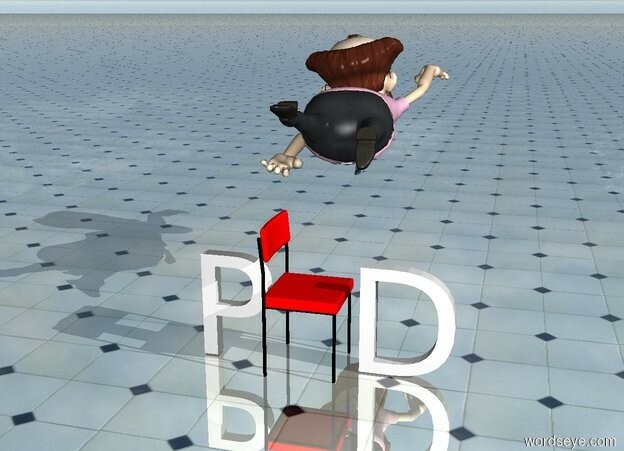 Input text: The "P" is to the left of the small red chair. The "D" is to the right of the chair. The chair is facing right. The man is above and behind the chair. He is facing back. The ground is shiny tile. It is morning.